Sea Cacti in different sizes in Neuron Jungle. The Sea Cactus is an aquatic species of Neuron that lives in Yoshi's Island oceans. 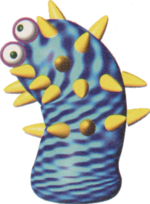 Sea Cacti only appear in the game Yoshi's Story for Nintendo 64 where they serve as obstacles in several levels. Sea Cacti have spikes all over their bodies and if a Yoshi collides with one, the Yoshi will take some damage. They come in three sizes: big, medium, and small, and are normally seen in groups. Sea Cacti seem to be able to survive outside of water, although, the only time they are seen on dry land is near a body of water. Sea Cacti also can hang off ceilings, and if Yoshi approaches one, it'll detach from the ceiling. Sea Cacti swing their bodies back and forth and cannot be harmed. If Yoshi throws an egg at one, it will harmlessly ricochet off the Sea Cactus. 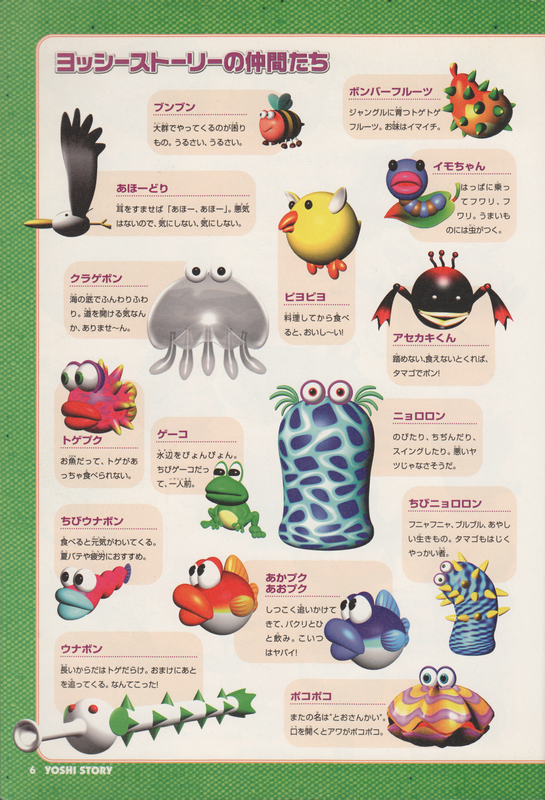 Sea Cacti only appear in three levels of Yoshi's Story; Neuron Jungle, Lots O'Jelly Fish, and Lots O'Fish. This page was last edited on March 29, 2019, at 15:18.